Hello from Heather Champagne, owner of Champagne Dreams, LLC. I am an experienced caterer, and have been catering and developing retail food products for the last 12 years. We have developed a product line of pesto and dessert sauces that is sold at local farmer markets, Whole Foods Stores, and Louisiana grocery stores. We have extensive experience in providing event coordinating as well. Having worked on such events as the Annual Anne Rice Halloween gatherings of 1997-2001 and provided catering for the staff of the New Orleans Jazz and Heritage Festivals for the past 5 years (2006-2011). 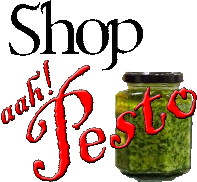 Our best selling products are the aah Pesto! products. The development of the pestos started serendipitously. Approximately 8 years ago, due to a downsizing, I took my old craft of hand-making gifts, mostly food related, and turned it into a business. Basil, Roasted Red Pepper, and Artichoke Pestos were the first and others followed. From a small Christmas market in New Orleans, post Katrina, where others sold art and other nick-nacks, I sold gift baskets containing beer, wine, coffee, and my pestos. The pesto baskets and single jars were selling very well! The pre-order list I created filled up quickly and I couldn't deny that I needed to do something with the success of this product. aah Pesto! Since the winter of 2005, we have added on some additional pestos, gourmet salad dressings, BBQ sauces, Praline Whiskey sauce and her family’s Praline Sauce. Started out with 6 products and increased to 25 flavorful pestos, dressings, and sauces. We are currently working on getting the "aah Pesto!" Brand and Praline Sauces to become national products.